Parity YEG, a non-profit group aiming for gender parity in politics, has paired with political blog daveberta.ca to launch an online tool to track nominated candidates and candidate hopefuls ahead of the election. In the lead-up to an expected provincial election next spring, one organization is taking a closer look at the candidates set to run. Parity YEG, a non-profit group aiming for gender parity in politics, has paired with Dave Cournoyer of political blog Daveberta.ca to launch an online tool to track nominated candidates and candidate hopefuls ahead of the anticipated provincial election. Parity YEG's founders said there is a need to examine how many women run in an election. "It's important for people to just see the numbers. A lot of times I speak to people about women in politics and they kind of go 'I think there's enough women in politics'," Lana Cuthbertson, co-founder of Parity YEG, told CBC's Radio Active. "I just think people don't really realize we don't have gender-balanced politics in a real, significant way." The live, online dashboard presents the breakdown of men and women nominated candidates and those running for a nomination for each political party. It also presents an overall total for the two categories. The data is entered into a spreadsheet that is used by Google Data Studio to create the live dashboard, explained Cuthbertson. As of Wednesday afternoon, there were 117 nominated candidates for all political parties listed on the dashboard. Of those candidates, 41 are women. Cuthbertson hopes the online dashboard will provide more transparency into how many women are running in the potential provincial election. She also hopes it encourages more women to put their names forward. The three parties with the most nominated candidates, the NDP, United Conservative Party and the Alberta Party all said it's important for them to have women running as candidates, she said. But Cuthbertson said women often need to be asked to run for office. "Typically, there are a lot of barriers that prevent women from running in the first place," she said. Barriers often include a busy home and work life and the combative nature of politics, she added. "Making your party welcome to women and inviting them into the process can help form change," she said. It's an issue municipal and provincial governments in the province have focused on. The Government of Alberta hasa website dedicated to providing advice to women looking to start their election campaign. 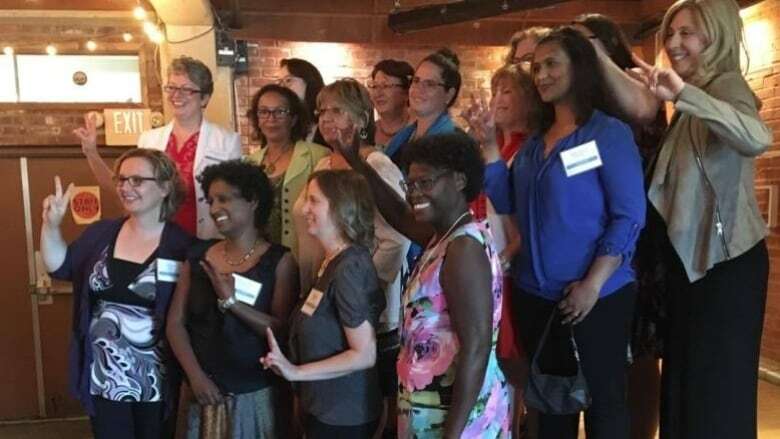 In Edmonton, one of the goals of the city's Women's Initiative Edmonton was to have more women running in the 2017 municipal election. The number of women elected to Edmonton council doubled in 2017, going from one woman to two. Cuthbertson hopes the movement to get more women in politics continues to grow, with a goal of having at least half of elected officials in Edmonton be women.